Jemma Cassidy spent her formative years documenting lifestyle and fashion trends in humble scrapbooks, ultimately piecing together the bigger picture idea for a career that took her from a buyer at Dunnes Stores to top ranking positions at Donna Karan and Diane Von Furstenberg. Despite obsessively curating scraps from catalogues and magazines, the Dublin native grew up unaware of how her affinity for forecasting and understanding trends could be a viable profession. After dropping out of her college course in DIT (“unbeknownst to my family,” she laughed) she immersed herself in the world of retail with a job at Oasis. After a brief stint assisting the Field Visual Merchandiser on window dressing and store layouts, she successfully secured a full time role and, as she says, “that was that”. Another position at Topshop’s head office followed, where Cassidy discovered her ultimate passion revolved around the product itself. Four years later, she was offered a buying position at Dunnes Stores, where she worked in both menswear and womenswear. “It was a truly beneficial role, not only from a professional aspect but a personal one. 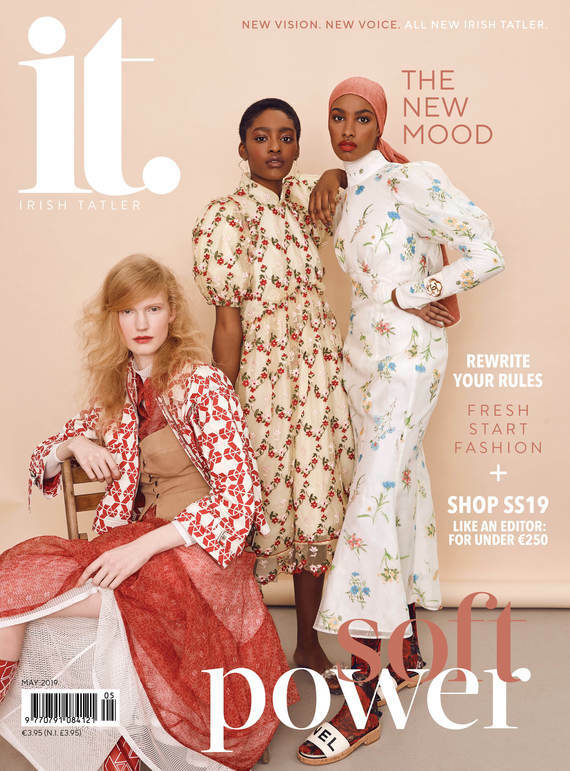 I learned how to manage some extremely tricky personalities, found my voice and assertion, and namely my passion; impacting the product,” she said of her time at the Irish retailer. After initially being approached by their recruiters via LinkedIn, Cassidy and her husband James moved to America in 2013, allowing her to settle into the role she “was meant to do”. However, Stateside, Cassidy discovered that a Buyer is more involved with the financial side of things, as opposed to making the product and design decisions. So, what does Cassidy actually do? When it comes to New York fashion, there are countless design talents. During her time as the Vice President of Merchandising at Donna Karan from 2016 to 2018, Cassidy had the pleasure of working alongside many of the city’s most promising stars. Six months into her new role as Chief Merchandising Officer at longstanding fashion brand Diane Von Furstenberg, Cassidy is happy to report that the same daily sense of job satisfaction is still very much intact. With an incredible amount of daily tasks, living and working within a three block radius has been a saviour. Cassidy maintains that everyday with iconic designer Diane is a “life lesson”, and that she considers herself "very lucky" working for a female CEO. As for her own life lessons honed during a career trajectory that spans Dublin, London, and New York, Cassidy said that she learned most about the industry after the “economic nose-dive” in Ireland post Celtic Tiger. Speaking of beasts, keeping up with the ever-changing retail scene is another wild ride altogether. When she’s not making decisions that shape how you or I dress and shop, Cassidy can be found carrying out a pretty normal weekend routine in the ‘city that never sleeps’... albeit one that still sounds aspirational. Despite working in an environment that varies from day to day, she has cemented a solid blueprint for the quintessential New York weekend. “I love how convenient everything is, it never gets old and it never gets boring. I haven’t been bored in six years! My weekends are usually all about food - I’ll rise at 8am and head out with my husband James for a coffee and some brekkie at Bluestone Lane on Greenwich. After which we’ll wander around the village and make our way to farmers market in Union Square and grab some bits for the week. After dumping them at home we’ll head to the gym or SoulCycle. I’ve the body clock of a 77-year-old so generally I’m a fan of late lunches or early dinners...I can generally be found with friends at Waverly Inn, Sant Ambroeus, Raouls, Don Angie, or Highlands, which fellow Dubliner Donal Brophy owns." By the sounds of both her divisive work week and charming weekends, we don't blame her for not getting bored.